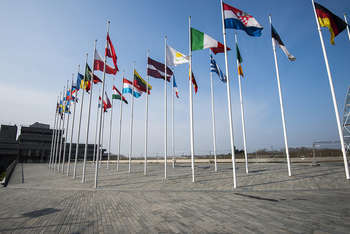 The European Investment Bank approved new financing for 36 projects in Europe, Africa, Asia and Latin America. At its first meeting of 2018 the Board of the European Investment Bank approved a total of EUR 6.5 billion of new financing for 36 projects in 17 European Union countries and schemes in Africa, Asia and Latin America. The Luxembourg meeting of the EIB’s 28 EU Member State shareholders and the European Commission followed a day of discussions between Board members and representatives of more than 90 different civil society organisations. “We value regular and intensive engagement with civil society. It strengthens the EU Bank’s contribution to the economy and society everywhere. It builds on detailed consultation concerning specific projects and covers broader issues about strategy and the EIB’s overall role. Our exchange with NGOs and other civil society organisations is always fruitful, including when we come to different conclusions about specific initiatives. Yesterday was no exception. We learnt a lot.” said Werner Hoyer, President of the European Investment Bank. The Board approved the EIB’s Strategy for Diversity and Inclusion that sets out priorities and targets for ensuring that the EIB itself better reflects society. “A diverse and inclusive organisation increases staff engagement and will strengthen the impact of our activity. The EU Bank is committed to protect equal opportunities and foster a more inclusive work environment. The new Diversity and Inclusion Strategy reaffirms this commitment and sets out a clear path to achieve these goals over the next four years.” added President Hoyer. “New financing approved today demonstrates the EIB’s firm commitment to improving education, energy, transport, housing and water needs and ensuring that businesses can expand. This includes both new initiatives to transform the global green bond market and improve daily life in western, central and southern Africa.” highlighted President Hoyer. Following detailed discussions the EIB Board approved EUR 1.5 billion of financing for the Trans-Adriatic Pipeline (TAP) that will cross Northern Greece, Albania and the Adriatic Sea before coming ashore in Southern Italy to connect to the Italian natural gas network. The project is part of the Southern Gas Corridor, an initiative identified by the Council of Ministers, the European Commission, and the European Parliament as a strategically important component within the EU’s energy policy (Project of Common Interest). Building on the EIB’s role as the first and largest issuer of green bonds worldwide the board approved support for a new USD 2 billion initiative to strengthen use of green bonds in emerging market in cooperation with a number of international financial institutions. This will address the limited issuance of green bonds in developing countries most vulnerable to a changing climate. Reflecting the EIB’s commitment to support both renewable energy and strengthen security of energy supply, in addition to the Trans-Adriatic Pipeline, financing was approved for a new 17MW wind farm in Lower Austria, construction of a hydropower plant on the Nenskra river in Georgia and medium sized renewable energy projects across Africa. New backing for energy distribution includes modernisation of distribution and roll-out of smart meters in Spain, improving reliability of existing distribution networks in Italy and construction of a new waste to energy plant in the Scottish city of Dundee. The board also approved financing for construction of the new Line 4 of the Athens Metro and trains for the new route, expansion and upgrading of Iceland’s main airport at Keflavik, a 7 km extension of the light-rail network in Morocco’s political and administrative capital Rabat including construction of 13 new stations. In line with the EIB’s broad engagement to support transport across sub-Saharan Africa new financing was also approved for financing a rapid transit bus network in the Senegalese capital Dakar, including construction of 23 stations and acquisition of 144 new buses. The board also approved support to upgrade the Great North Road, a key access route to Indian Ocean ports in landlocked Zambia. New investment totalling EUR 970 million to improve services, provision of social housing, sustainable infrastructure and reduce energy use in cities across Europe was also approved. This includes new finacing for urban development investment across Greece, renovation of cultural facilities in Innsbruck, and support for urban infrastructure in the north-western Romanian city of Oradea and towns across Poland. The EIB will also back for a four-year social housing construction scheme in Hamburg and finance retrofitting and building of new housing units with a housing corporate in Rotterdam. The board agreed more than EUR 1.3 billion of new financing to support investment by companies across Europe. This includes support for leasing activity in Poland, financing for export-focused firms and climate related investment in the Czech Republic and new credit lines with leading local banks in Finland, Italy, Spain and Portugal. Future financing to improve high-speed internet services in the greater Toulouse region and construction of a new university campus in Helsinki was agreed. Reflecting the EIB’s unique technical and financial experience supporting water investment worldwide new projects in Friesland and the Rwandan capital Kigali were also approved. Financing for four projects approved by the EIB board will be backed by the Investment Plan for Europe and support overall investment totaling EUR 4.1 billion.